As iron builds up in the body, it can lead to serious health problems, such as a weakened immune system, diabetes, and heart failure. Exjade is an iron chelation therapy that you can take as a drink when mixed with orange juice, apple juice, or water. It may help your body to get rid of excess iron on its own. 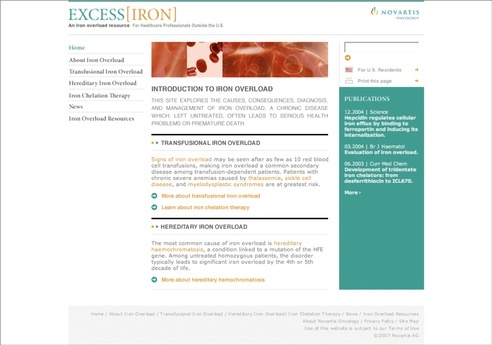 Visualspace develops both the branded and unbranded Excess[Iron] site for Exjade.